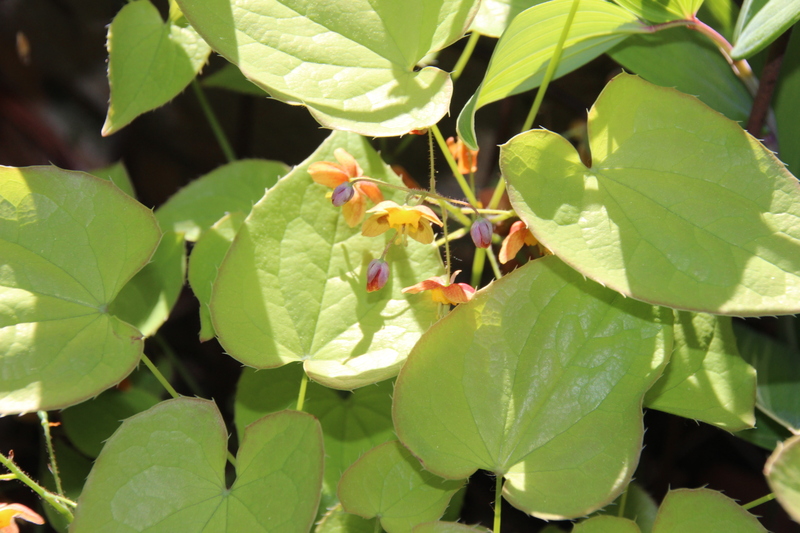 I have three Epimediums growing near the entrance to my home. so I placed them where they will be better noticed. 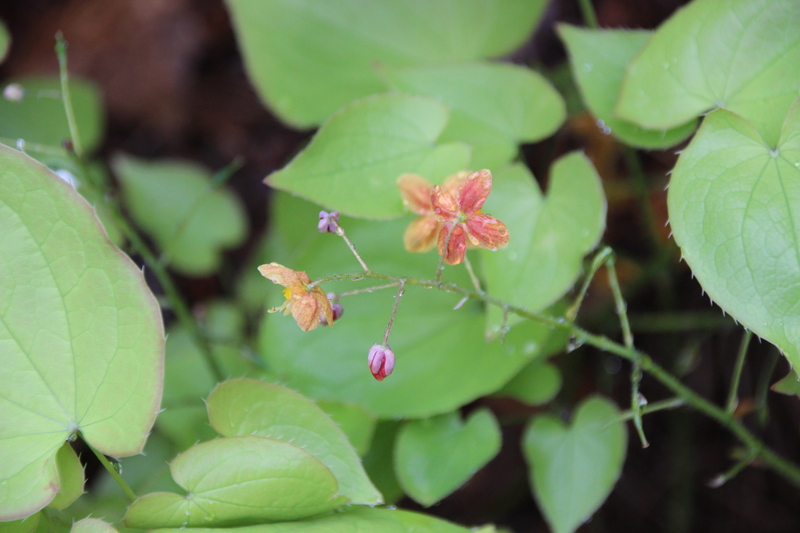 Their tiny clusters of blooms may still be overlooked once the leaves emerge. but my favorite name for them is fairy wings. 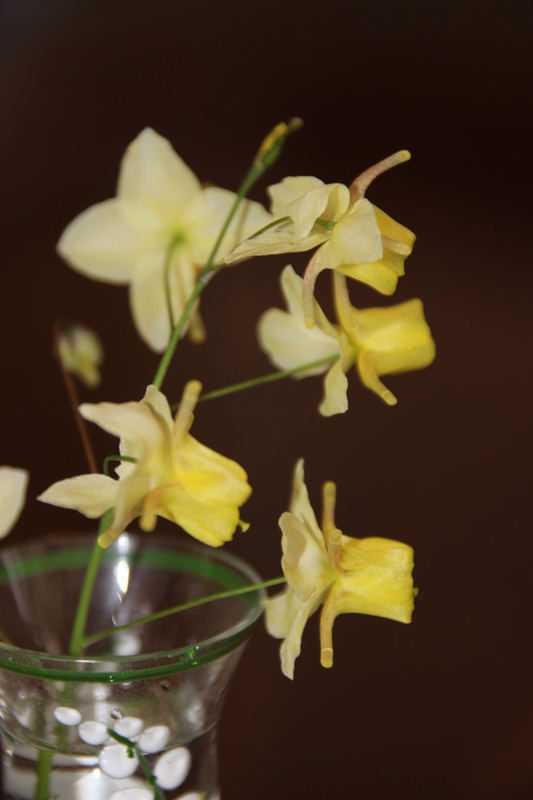 The wiry stems are so slender, that it appears as though the blooms are fluttering in thin air. 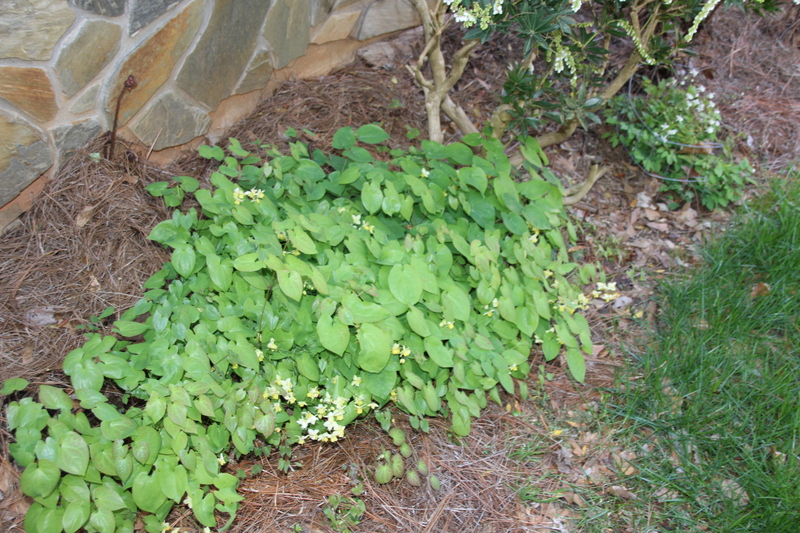 These small plants add a lovely burst of color under shrubs. 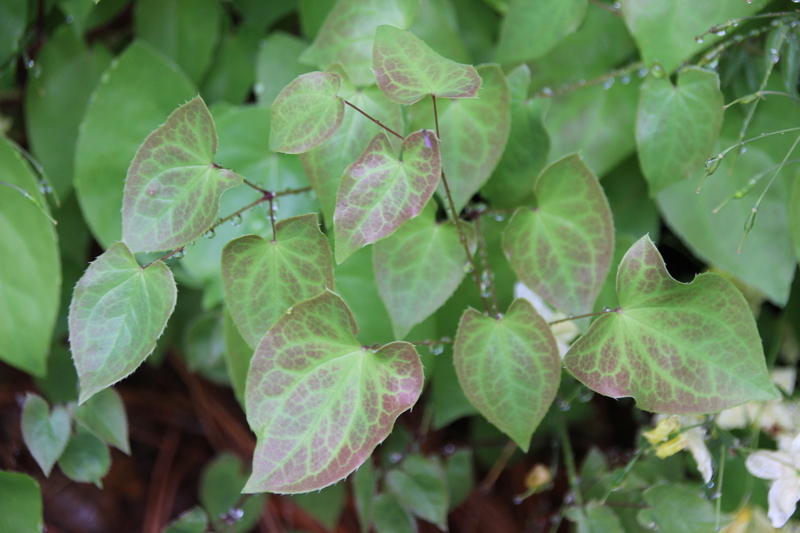 Epimediums prefer shade and rich soil, but will tolerate dry conditions. They are magical. 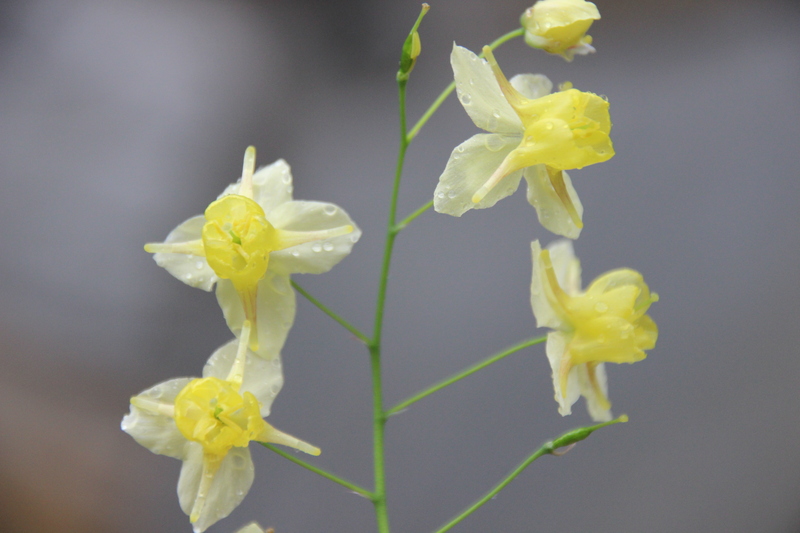 Plant them where they can be appreciated, Even in the rain. 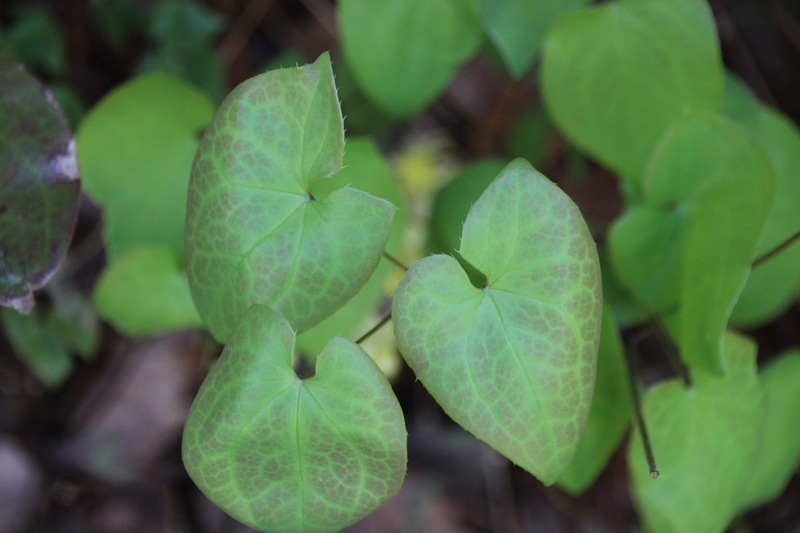 I love hundreds of types of plants. I am in love with a dozen or so. 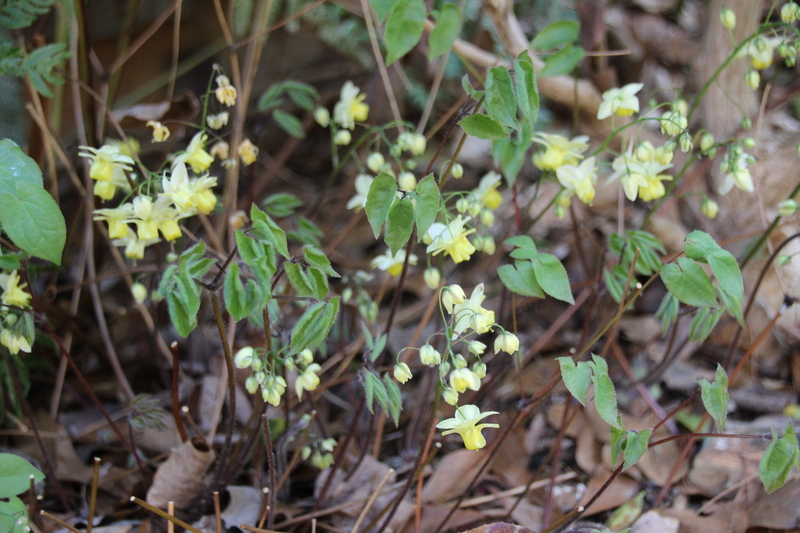 The twinkle in my eye during March belongs to my yellow Epimedium. It peeks out from under a Pieris japonica bush and an Autumn fern. 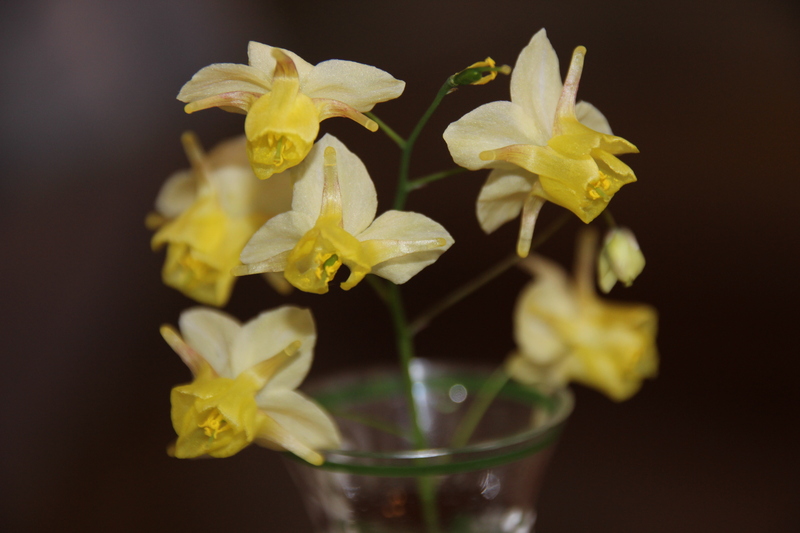 Its butter yellow blooms dangle from wiry stalks like tiny lanterns aglow. 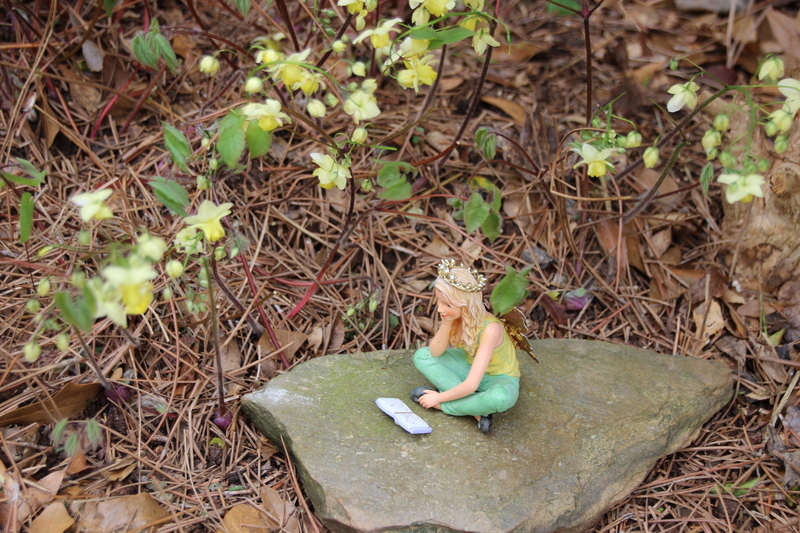 A perfect place for a fairy to read a book. Even the leaves are lovely.